FAQs - Buffalo Niagara Honor Flight, Inc.
A: Spouses of veterans do not go on the trips unless the spouse is a veteran. With thousands of veterans on the national waiting list, BNHF simply does not have the time, resources, room on the bus, nor the guardians available to include and care for non-veteran spouses during these trips. A: The cost is FREE for all Veterans. You do not need to bring any money, unless you intend to purchase souvenirs. The cost for Guardians is $350, paid in advance, which covers airfare and meals for the day. A: Yes! We encourage family members to go as guardians. He or she must devote the same attention to all Veterans on the trip. It may not be a one on one situation with your Veteran. Our TOP priority is the safe travel of ALL the Veterans. Who will or will not serve as a guardian, and how many guardians will be needed, is the sole responsibility of the Hub Director. 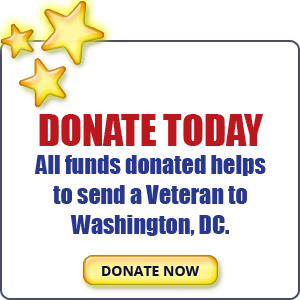 Q: Can I make a donation to Honor Flight Network? A: Buffalo Niagara Honor Flight gratefully accepts donations from anyone EXCEPT World War II Veterans who have not benefited from the experience of an Honor Flight Tour. We feel that these Veterans have given enough. This is our way of saying "Thank You"! A: Veterans are flown on a “first-come, first-served basis.” Within the applicants, top priority is given to WWII veterans and any veteran with a terminal illness. Our next priority is to Korean War veterans and then Vietnam veterans. (Korean War and Vietnam veterans are encouraged to apply now to get a position on the waiting list). A: Our funding comes primarily from individuals across the country who recognize the great accomplishments and sacrifices of Veterans and want them to experience their memorial before it's too late. 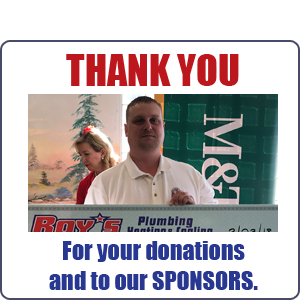 Other significant contributors have been fraternal organizations like local American Legion, VFW, Am Vets, DAV, posts and chapters, as well as various corporations on a local level. A: WHEELCHAIRS -- About 30% of the Veterans we have transported were in wheelchairs. Our deluxe motor coaches are ordered based upon this fact. Many of our coaches are equipped with wheelchair lifts. OXYGEN -- If the Veteran requires oxygen, a prescription for the oxygen must be provided by the Veteran's healthcare provider, identifying the delivery method (mask or nasal cannula), frequency (as needed or continuously), and the rate of delivery (2-3 liters per minute). No oxygen cylinders are permitted to be used on the aircraft. If the Veteran requires oxygen during the trip, please contact Buffalo Niagara Honor Flight to discuss arrangements.